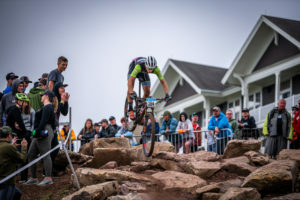 Noah Hayes closing out the 2018 mtb season with a 10th at MTB nationals in a full field of contenders. Noah had a STELLAR year winning the Varsity California State Championships, the Conference Championships and Series, and making the top ten in several UCI races this spring. Looking forward to seeing Noah compete in the U23 and Pro divisions next year, and represent UCSB in the collegiate racing scene!